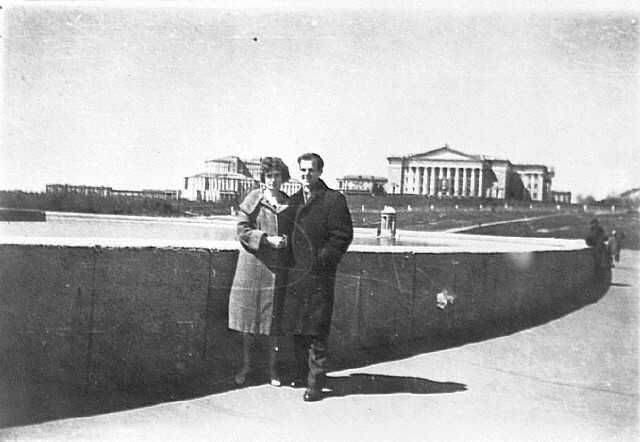 Justice For Kennedy: Is the U.S. trying to prevent Ernst Titovets from coming to America? Is the U.S. trying to prevent Ernst Titovets from coming to America? Is US Effort To Block Oswald Friend And His Revelations Itself A Further Deception? In one of a continuing series of obstructions affecting the 50th anniversary of the John F. Kennedy assassination, the US government is preventing a visit to a research conference by a man who apparently got very close to Lee Harvey Oswald during Oswald’s USSR days. This development comes on top of the Obama Administration’s failure to release 50,000 documents relating to the assassination, as previously reported by WhoWhatWhy. 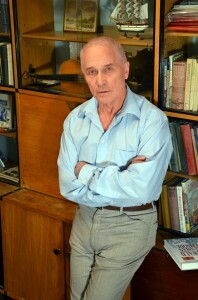 Ernst Titovets, author of the 2010 book “Oswald: Russian Episode“, had been invited to be the keynote speaker at the yearly Dallas conference held by the Coalition on Political Assassinations (COPA), a loose-knit organization of researchers who study political assassinations. But Titovets got a cold reception from the American Consulate in Minsk (capital of White Russia, a part of the USSR now called Belarus) when he applied for a visa to travel to America—and has been waiting to hear from them for over a month. He has asked that polite letters of support be sent to the Consulate and Embassy in his behalf by those who want to hear him speak. Contact information appears at the end of the article. Titovets’s highly detailed book humanizes the alleged assassin–and many Americans would like to hear more about it from the author himself. But Titovets’s role itself is seen as problematical by some observers in a saga that has remained mired in controversy, bizarre twists and turns, and allegations of government cover-ups and endless distractions and disinformation. According to a diary Oswald allegedly wrote, Titovets was his “oldest existing acquaintance.” Readers familiar with the facts in the case of the Kennedy assassination will understand the liberal use of the word “allegedly”—almost everything about Oswald and his doings remains in doubt—including whether he went to the USSR on his own, or was one of a number of servicemen with access to information of interest to the Soviets who many believe were part of a “false defector” program run by US intelligence. 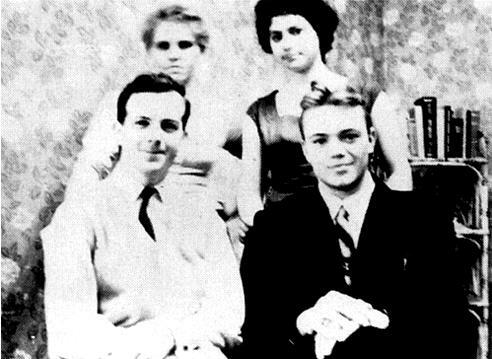 (Evidence of one such case—another American run by an agent who like Oswald married a Russian woman, can be found here.) For those who find this alternative scenario credible, everything from the true authorship and purpose of his diary to the agendas of those who befriended him require close scrutiny. Oswald, as some say. Titovets could even have been both. Many non-spooky Russians, especially intellectuals, were pressed—against their will—into service by the KGB. 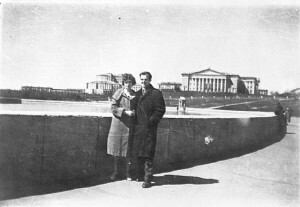 Oswald, who publicly attempted to defect to the Soviet Union in October 1959 but was viewed with skepticism by the authorities there before he returned to the United States, was of intense interest to the Russians. 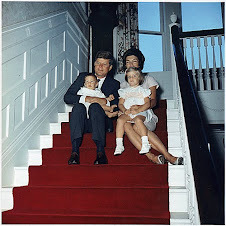 We know from released KGB files that Soviet spies watched Oswald and his wife in their bedroom through a peephole in the thin wall, and listened to the through a microphone in the celling, and who knows what else they did? 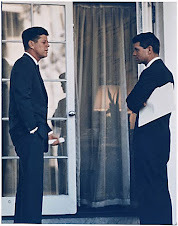 The never-before-published documents written in Oswald’s handwriting, and the audio recordings, should be especially interesting to researchers of the Kennedy assassination. Titovets promotes the second possibility: completely innocent, and with no connections to any intelligence organization. Many believe in a third possibility: that Oswald was neither a lone assassin nor an unconnected innocent—but was an American intelligence agent who thought he was serving his country as part of an elaborate subterfuge. Assuming this well-known and long publicized account of Oswald’s actions is true, why didn’t security at the Embassy seize Oswald then and there? Surely, if Oswald were a bona fide defector and threat to American interests, he would not have been treated so gently—nor would he have been given the assistance he was given by American authorities when he decided to come back to the States. Titovets does not seem to even find the passivity of the American authorities in Moscow strange. This, and other aspects of his analysis should make one curious about Titovets himself. All of which is to recommend caution in wondering why the US, fifty years later, is turning Titovets from a relatively obscure character into someone of public interest by denying him a visa. Not to suggest anything wrong with the consulate staff in Minsk. But, assuming that this matter, on such a sensitive topic, would naturally be kicked upstairs to high levels in the US intelligence firmament, one has to wonder whether they were the ones to hold back the visa, and if so, why? 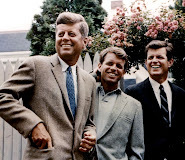 Given how the American people have been treated to one distraction after another from the vast body of evidence pointing at intelligence connections in Kennedy’s death, is it so crazy to wonder if the purpose of denying Titovets a visit is actually not to prevent him from being heard, but instead to make his bland “revelations” seem somehow more noteworthy? Any public relations professional would understand such a subterfuge. Whether or not that is what is going on here, it is indisputable that Titovets is very helpful in casting Oswald as nothing more than the wrong man in the wrong place at the wrong time. What Titovets does not seem to recognize, or will not acknowledge, is that an intelligence officer playing a role would almost certainly act naïve, and claim to be surprised by things an agent would know to be commonplace. Some see Oswald as a broken marionette. Though discarded, the wires are still attached, however translucent, and could lead right back to those who were pulling them. Was Oswald one of the recruits in the CIA false defector program? Is this why so many documents about him remain classified? Is this why the US government, even under Obama, continues to hold back those 50,000 documents? 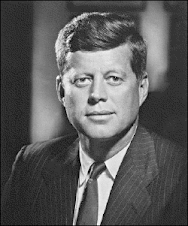 If he were indeed proven to have been working for US intelligence at the time of the Kennedy assassination, then his alleged role in a presidential murder could further shake the confidence of Americans in the trustworthiness of our vast secret intelligence apparatus—and even lead to a reappraisal of the reliability of our governance system itself. It would hardly be surprising that someone like Titovets and his “revelations” of an Oswald who was an innocent naïf, completely unconnected with the US government, are welcomed by the establishment. The New York Times, which for the last half-century has notoriously dismissed or ignored thousands of revelations pointing to Oswald’s involvement in covert operations, has written approvingly of Titovets. 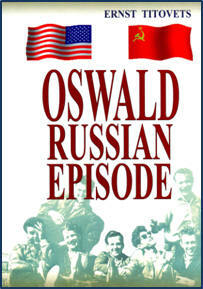 Titovets considers the idea that Oswald was connected to either American or Russian intelligence the “wildest speculation.” “A James Bond fantasy.” He ignores the evidence of Oswald’s connections to American intelligence as revealed in many books, and seems to hope his readers will ignore it as well, thereby effectively cutting the marionette’s wires. This, of course, raises questions of why the US government would not welcome his visit. Skeptics might note that the government’s refusal in itself creates media interest in Titovets–and makes his contribution to the discussion more credible: if the US government is against him, he must be doing something right. Whether or not the US ends up allowing his visit or not, he gains new visibility. “March. The last communiques are exchanged between myself and Embassy. . . . I have still not told Erich who is my oldest existing acquaitance,that we are going to the State, he’s o.k., but I’m afraid he is too good a young communist leage member so I’ll wait till last min. In the meantime, Ernst Titovets is still waiting for his travel visa. E-mail: ConsularMinsk@state.govWorking hours: Monday-Friday from 8.30 to 17.30 except Belarusian and American holidays. Perhaps if Titovets gets his permit, and does visit the United States, he’ll have an opportunity to explain why he never considered the possibility, so widely accepted now—that Oswald was indeed a deep covert operative all along.